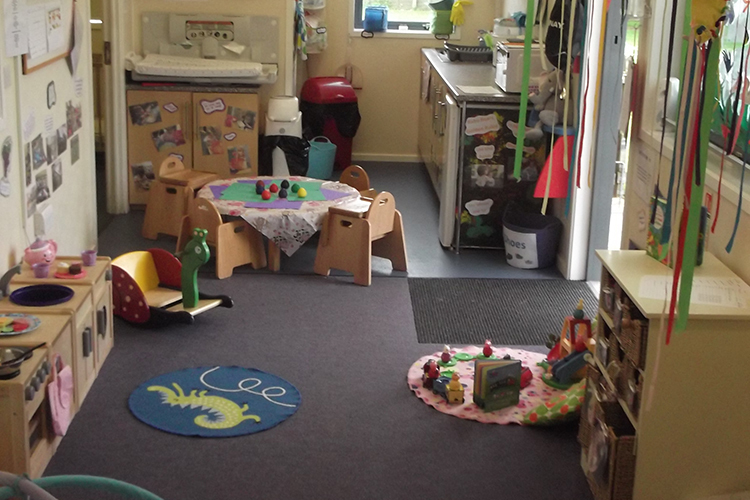 The Baby Bears Room caters for children from three months to two years old. The Baby Bears Room can accommodate nine children at any one time which means that your child will receive the utmost in quality care and attention from our highly qualified team. Your child will be designated a key person (all of whom have an Early Years qualification), who will monitor your child to ensure they are making progress. Your child will be treated as an individual and their key person will be available to discuss their development and progress with you – we are very keen to develop our relationships with parents so that all the children are happy. 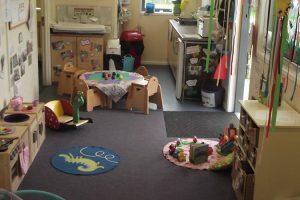 The Baby Bears Room is situated off the main room and is accessible through a secure gate so you can rest assured that your baby is safe from the hustle and bustle of the busy Toddler Tigers Room with the older children. The Baby Bears Room is welcoming, bright and airy and has a separate small room for sleeping in which is always nice and quiet. We ensure that each child always sleeps in the same cot in order to establish a routine and familiarity and to ensure a feeling of comfort and stability which is important for a happy baby. Routines play a large part in a child’s development and we do our best to keep to each babies’ home routine to help ensure a relaxed and comfortable environment which we believe helps them to develop and flourish. As well as allowing time for rest in the sleep room, the babies have a dedicated feeding and eating space which allows them to explore early social skills and instill a sense of routine in preparation for transitioning to the Toddler Tigers Room when the time comes. Each child’s individuality is catered for with fun-filled activities and games. We maintain a large selection of fun, educational toys like stacking blocks, crayons, shape sorters and dolls; we are careful to rotate these frequently in order to help your child develop a broader range of early skills and maximise play value. We love to have lots of messy play with jelly, baked beans and Play-Doh so the children get to experience different textures. Outside the Baby Bears Room we have a dedicated space that your child can make use of in all weathers. This is separated from the other older children and is partially covered by as canopy for protection against the elements so they can play outside come rain or shine. 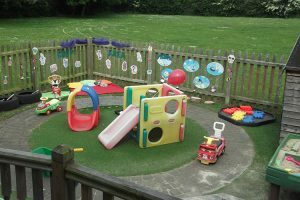 You can feel safe in the knowledge that at Robin’s Childcare your child will be happy and nurtured.